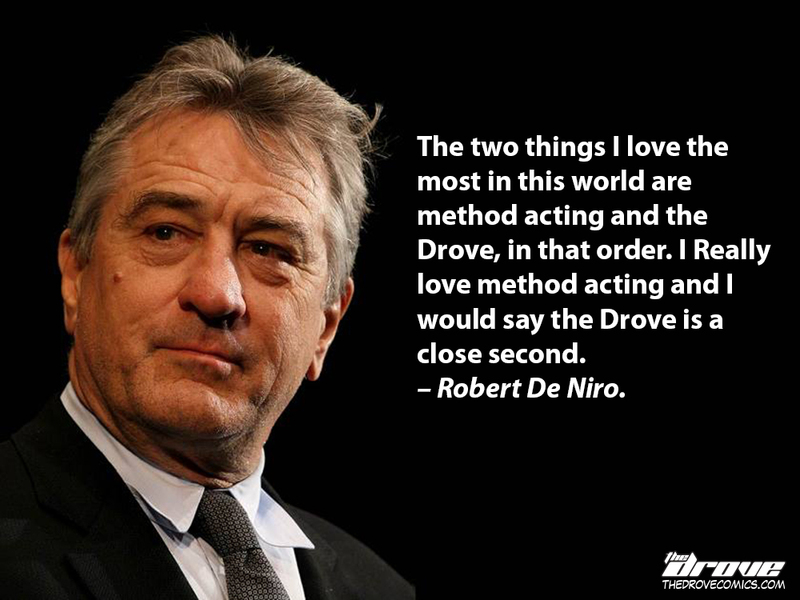 Real Celebrity Quotes with Robert De Niro! This entry was posted in Real Celebrity Quotes and tagged Bobby De Niro, Casino, celebrity quote, comic, drove, Godfather 2, Goodfellas, Grudge Match, Last Vegas, Method Acting, Raging Bull, real celebrity quote, Robert De Niro, sci-fi, Taxi Driver, the drove, The Family, The Method, thedrove, webcomic. Bookmark the permalink. ← “The Transgendrove” T-Shirts On Sale NOW!